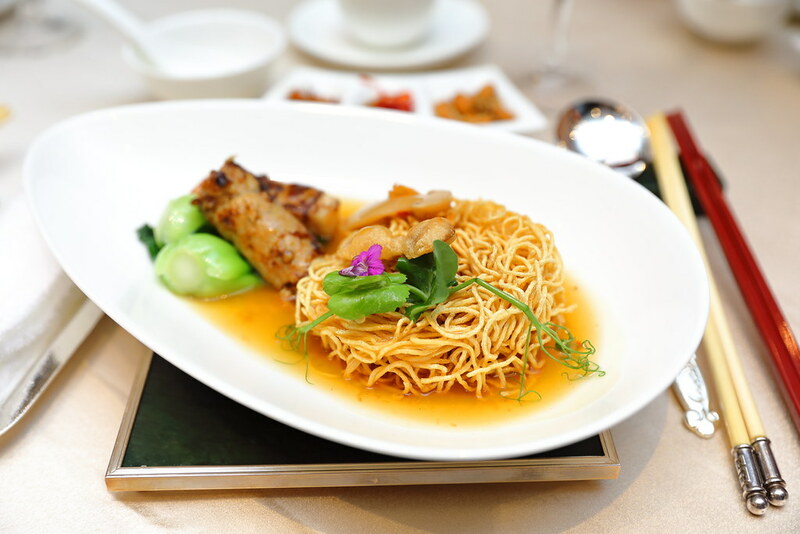 Li Bai Cantonese Restaurant at Sheraton Towers Singapore celebrates the Lunar New Year with a line-up of heart-warming reunion feasts from 19 January to 19 February 2019. Delectable festive takeaway treats are also available for a grand get-together in the comfort of home. 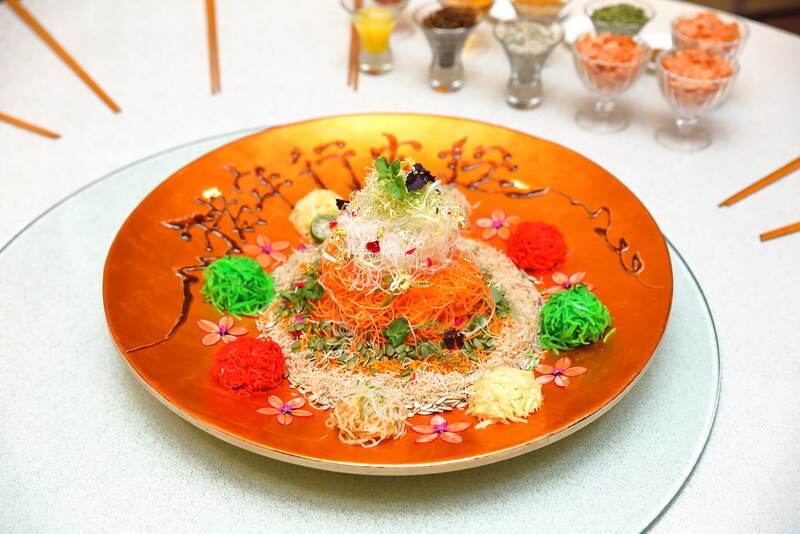 New this year at Li Bai is the Salmon Roe and Hamachi Yusheng Loh Hei Platter ($98/$178). The specially flown in hamachi and salmon roe from Japan is served atop a melange of quintessential ingredients like pomelo, yam, sweet potato, white radish, carrot and pickled ginger. 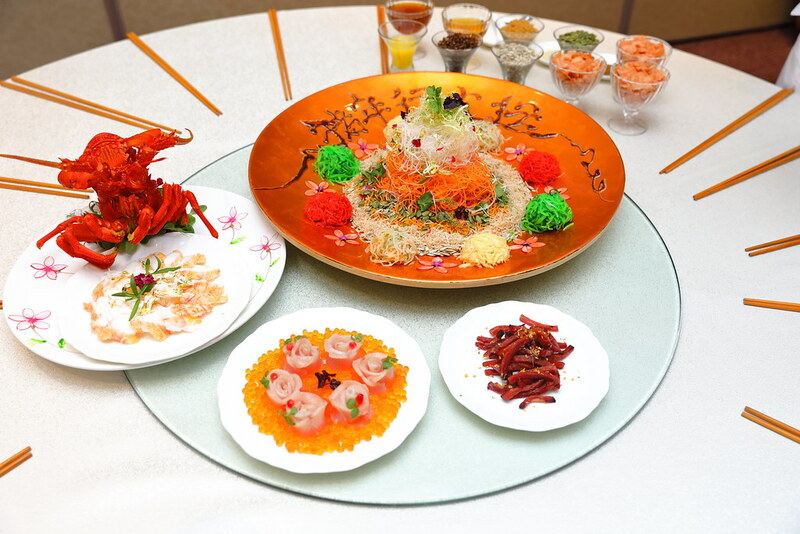 Diners can choose to add on additional ingredients such as Australian lobster ($35 per 100g). It is available for both dine-in and takeaway. What stood out for me is the crispy red and white quinoa that added that extra textures to the Yu Sheng. 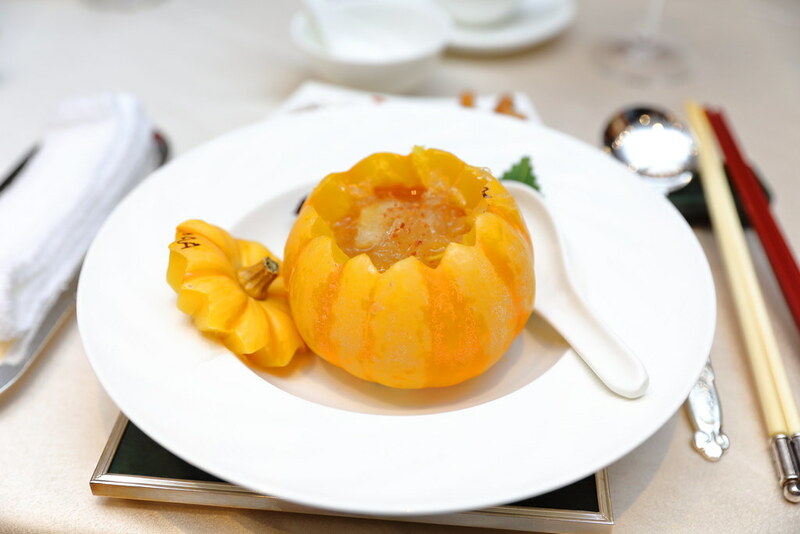 Comforting and yet nourishing is the Braised Bird's Nest Soup in Mini Pumpkin. Love how it is served in a mini pumpkin bowl. I have always enjoyed Pen Cai because of the one pot treasure that is braised with expensive and rare ingredients. 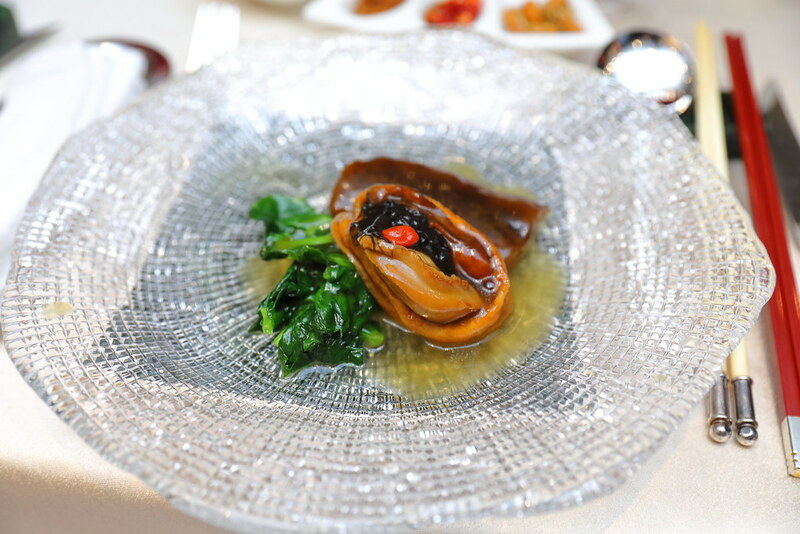 Hence I was really delighted when I was served the Braised Abalone and Stuffed Beancurd Skin with Sea Cucumber, Dried Oyster and Black Moss. It may not be the treasure pot that I was looking forward to but it has many of the delicious ingredients which I enjoyed, done excellently. A dish that got me slurping to the last drop is the Pan-fried Kurobuta Roll served with Crispy Noodle and Matsutake Mushroom. I enjoyed the crispiness of the noodle as it soaked up the savoury gravy. Noteworthy is the pan-fried kurobuta roll that is stuffed with crunchy yam. 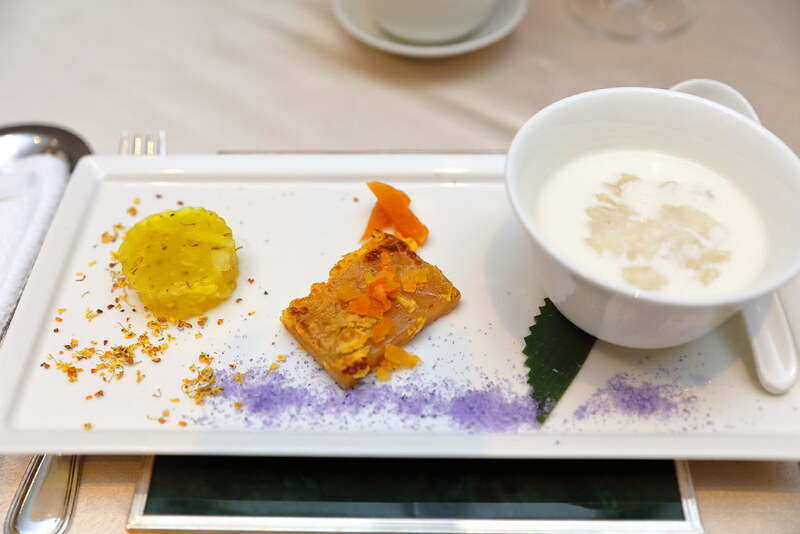 Wrapping up the dinner, we have the Almond Cream with Hasma, Pan-fried Nian Gao with Cane Sugar, Water Chestnut Cake. The traditional Nian Gao with Red Dates and Lotus Seeds ($50) and Water Chestnut Cake with Osmanthus ($50) is away for takeaway.